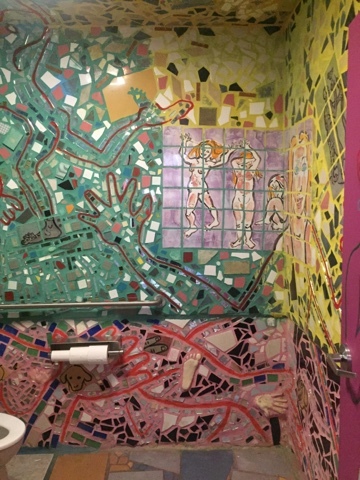 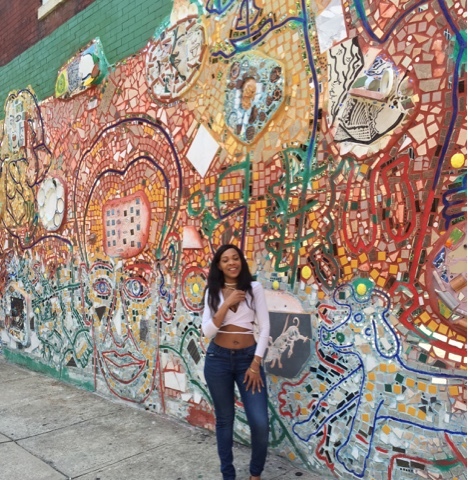 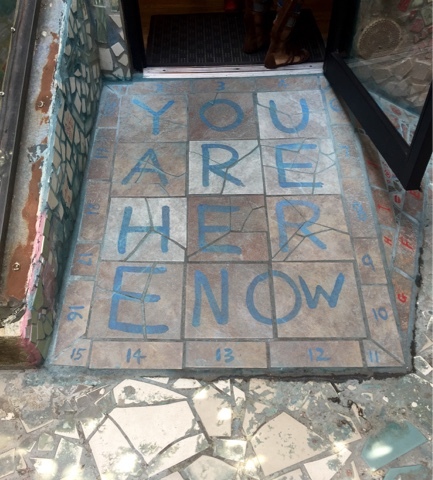 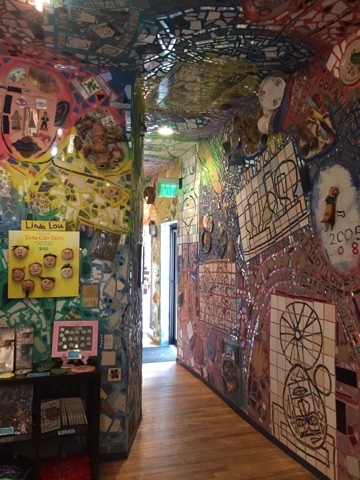 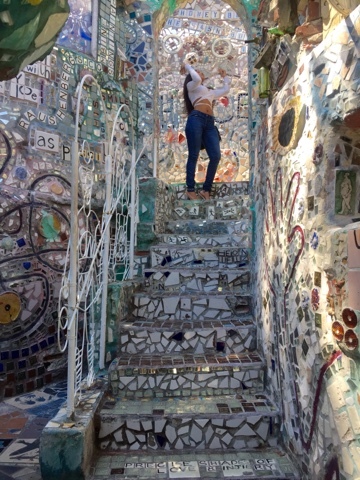 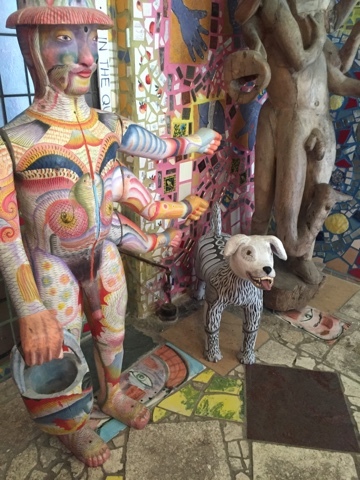 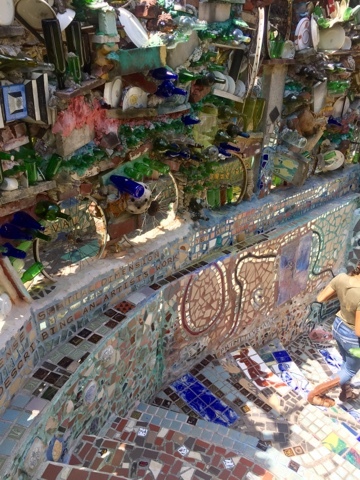 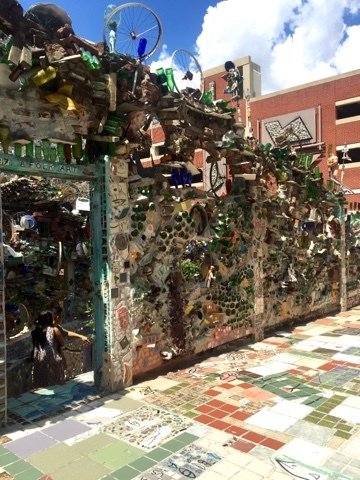 Philadelphia's Magic Gardens is artist Isaiah Zagar's mosiacked museum. 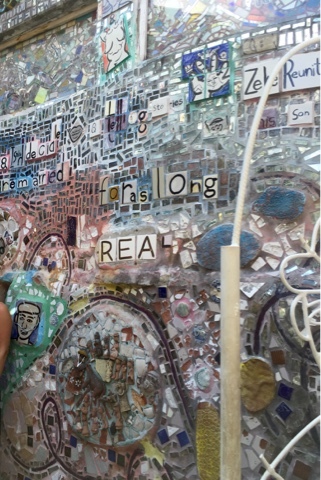 He used recycled items and mirrors to create the environment and is actively still adding to the artwork and has murals throughout the city. 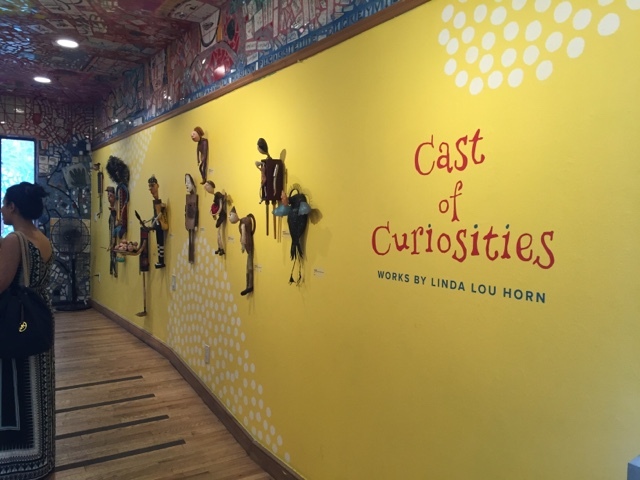 The garden also features works by other artists and is currently showing "Cast of Curiosities", clay sculptures and more by Linda Lou Horn.